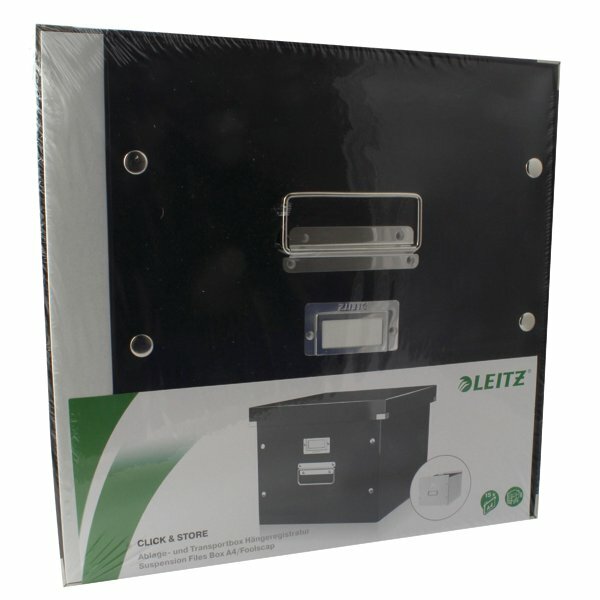 A stylish way to store up to 15 suspension files, the Leitz Click and Store Suspension File Box is ideal for preventing the loss and misplacement of your most precious files. Each box is easily assembled, with a design that simply clicks together to provide reliable storage, protecting your media from a range of damage and threats. With the capacity to add a label at the front, you can make sure that your information is easy to find when in storage.